There are 26 items in the categories listed below. Nothing says cruising like dropping the soft top or removing the roof panel on your C5 Corvette and letting the cool breeze flow through. But if your Corvette's soft top stays down more than up because you are embarrassed by torn canvas or a clouded rear window – that's not cool. Zip's line of C5 Corvette parts includes everything needed to restore your convertible top or removable roof panels. Soft top kits are available in vinyl or Twillfast cloth material and include pads, straps and hardware to complete installation. 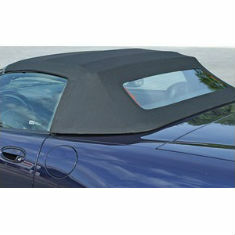 And Zip can help you restore your C5 Corvette with a remanufactured acrylic roof panel. 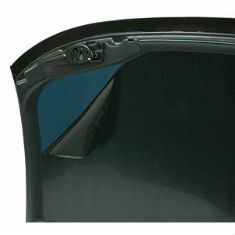 Zip's roof panels are available in blue or bronze polycarbonate and all of them include new weatherstrip. Count on Zip for all your C5 Corvette parts and restoration needs and don't let your Corvette's top keep you from cruising in any weather.